At khanna software we recognise the requirement to have a stable platform for your website. Time and time again websites on shared servers suffer problems from other websites causing a degraded performance and even downtime. Previously the only way to ensure your site is available 24x7 is to invest thousands into a dedicated server which for most cases is uneconomical and not feasible. We have identified this problem and created a cost effective solution. We have invested the thousands for you, and can give you 99.9% uptime for fraction of the cost. We achieve this by hosting websites on our fast dedicated servers. Through this method we can ensure that the server is always well within its performance boundaries and that your site will not be affected by performance or bandwidth issues caused by certain sites. Our servers use the very latest software including Windows 2003 Server, SQL Server 2000, .NET technologies etc. 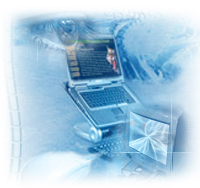 in order to provide state-of-the-art technology to your website. We also restrict each one of our servers to a limited number websites, this ensures the very best performance and reliability. Although hosting services can be found cheaper than ours it is very likely that your site will be placed on a server with hundreds of websites thus providing a slow and unreliable service. We feel that we are offering unrivalled value with our service due to our strict regime of keeping the number of sites on each server down and allowing maximum performance to each and every site.